*This is part of a series on my journey to get a 760. Paart 2 can be found here. I am now on Week 4 of my crazy study mode. Right now I am following my plan to beat my 710 and trying my best to keep to my rigorous schedule. My hope is to get 150 hours of studying before I take the GMAT in late August. My main way of studying has been The Economist’s GMAT Tutor which is an online tool that has proven to be VERY effective at improving my weak spots. I am quite happy with my progress. After about 3 weeks I have completed about 47% of the course. When I finish 50% of the course I will take my first practice test (which should be this weekend). That will be a good indicator of my new “ground floor” and how much I need to improve before my test date. Power of Positivity – Every time I start studying I force myself to smile and say aloud, “I love studying for the GMAT. This is going to be so much fun and challenging!” I know it sounds crazy, but it ABSOLUTELY works to change my attitude and learning capability. When I see questions or topics that I hate, I will always say, “Awesome! Another opportunity to beat the GMAT down! I love this!” This is the #1 way I was able to break out of the Matrix of GMAT Terribleness. Set SPECIFIC BHAGs – Set your test date. Set your goal for your dream score. Set your hours goals. DON’T set low limits for your success. If you believe you can “make the jump” you will do it. One Battle at a Time – Now that you have broken out of the Matrix and realized you can do whatever you want, set yourself up for success by daily goal-setting. By creating a plan into daily “bites” you can accomplish your goal. If your goal is 150 hours in 10 weeks, you know you will have to study for about 2 hours a day. Maybe you will do 1 hour M-F and 5 hours on both Saturday and Sunday. The point is you want to set your daily goal and achieve it everyday. I even try to create streaks of achieving my goal. If I pull off a “perfect week” I will allow myself to eat at my favorite restaurant. I hope these tips will help you break free from the Matrix of GMAT Terribleness (also don’t forget to check out my guide). I would love to hear your thoughts, ideas, and/or tips. Great blog mate .. It would be really useful if you could give us the weekly plan of yours so that we will be able to follow them ..
Good luck) I struggle with it too)) It must be difficult for you to find new resoruces. Great tips as always! Keep up the good work! Thank you so much for following me! I am really impressed with you intense plan 🙂 But for me, I cannot manage 2-hour study GMAT per day, I mean I need more time than that. 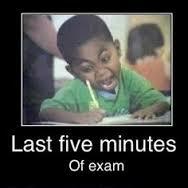 For example, I practice only 5 questions for each sections, meaning 25 questions in total = 50 minutes. And the review section takes me more time than that. But it is possible that you already had a high starting point with your previous 710. I wish you strength and luck for the exam 😀 And look forward to your next post.